I had to put a moratorium on jam-making this year because I realized I had enough jam to last a normal person, who doesn’t have a French partner, at least ten years. (I’m not naming any names, but one Frenchman in particular can go through half a jar at one breakfast alone.) But one thing I can’t make is honey, in spite of the fact that I am certainly capable of giving a nasty sting every once in a while. It wasn’t until I moved to France that I fell in love with the stuff. When I led tours, I’d bring guests to honey shops and people would just kind of look around – or look over me, perhaps wondering when we were getting to the chocolate – as I started to explain fabulous wonders of French honey. And am not sure how convincing I was, but since I have a captive audience here (don’t touch that mouse! ), as well as a cabinet-full of the stuff, I decided that as I started to clean out my honey larder, I’d also come clean about my love for the stuff. Various honeys are said to have various properties. I don’t sit down to breakfast and think about all the polyhydroxy phenols and bioflavonoids, or how my body is going through phagocytosis or endocytosis while I eat my toast and sip my orange juice and wonder how the heck I’m going to make it through another day. (And I have nothing against polyhydroxy pheols or phagocytosis, it’s just that they’re not popular topics at my breakfast table.) On the whole, I eat pretty healthy stuff and am not one to think about the health benefits of food. I don’t need justification, ie: antioxidants, to eat chocolate. I just eat it – and thinking that you’re going to get healthy from eating cheesecake because you put a tablet of vitamin C in it is kind of ridiculous, if you ask me. So geez, just eat! My philosophy is to eat a variety of things, avoid too many packaged foods, and always choose butter over margarine. (And wine over soda.) So when someone tells me that a particular honey may be good for my urinary tract, it’s kind of the last thing (or place) I like to think about when eating. I’d rather think about how good it tastes. However before I step down off my soapbox, honey is a good, healthy, pure food, and adding a generous spoonful to your diet every once in a while will make you a happier person. At least it does in my case. The French love honey and give it a lot more respect than most of us do in the states. It’s sold by variety, where it’s cultivated, the terroir, by producer, and if it’s crystallized or not. Because it was recently revealed that a great deal of honey is mislabeled, or worse, adulterated, one has to look at labels. Fabriqué en France or Recolté en France (Made in France, or Harvested in France) are different from Elaboré en France or Transformé en France (Processed in France) – and not just on honey, but on other food products. I once bought what I thought was honey at a Middle Eastern market and when I got home, and have my glasses, I looked at the label carefully and saw that it was glucose aromatisé (flavored) with honey. The one on the left, up above, is one I get from a favorite apicultrice who is at the Marché des Producteurs that takes place annually in Paris, and her honey is the first thing I pick up. Ok, I lied. It’s the first booth I go to, but I do the rest of my shopping, then stop back there just before leaving because the amount of honey that I buy isn’t all that light. And the other jar is from a trip to the Jura, which I haven’t opened, but I loved the dark color and since I have a crush on that region, I like having a souvenir in my kitchen of my last trip there. Oddly the two things in France that you’re practically expected to taste before you buy them are wine and honey. Not in stores, per say, but at the outdoor markets or food fairs; if someone has either, there are usually tastes on offer. (I was once at a wine expo and bought a bottle of wine without tasting it. The seller was rather shocked, “Don’t you want to taste it first?” he asked, before ringing me up – I was so in the habit of not getting a taste of anything.) 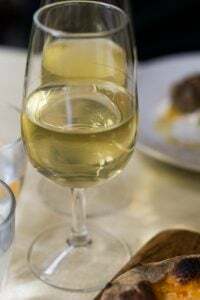 But don’t go into a French supermarket and pop open a bottle of wine and take a swig (although whenever I have to brave a Monoprix, sometimes I feel like I need a belt), or open a jar of honey and dip your finger into it. But you shouldn’t really be buying honey from the supermarket when there are so many great honeys to choose from that are the same price, or less, sold by the apiculteur or apicultrice (beekeeper, male and female, respectively – beekeepers are not gender neutral.) I have a friend, an apicultrice, who has less than 10 beehives – in France, you can only have 9. If you have 10, you’re considered professional and have to deal with all sorts of paperwork and fees, I’m told (talk about getting stung, not once, not twice..but three times!) I haven’t yet visited her but I hope she has less than 10 because I don’t want to be associated with the wrong element, if you know what I mean. My favorite two kinds of honey are chestnut and sarrasin (buckwheat), which is a bit harder to come by. (If you read the label, a lot of it comes from overseas. But at least it’s not honey-flavored glucose.) Both are quite brusque, and I use mille fleurs (multi-flower) honey for baking projects, like pain d’épices and honey-flavored ice creams. Other varieties I stock up on are tilleuil (linden) and bourdaine (alder buckthorn), both dark and musky. In once bought dandelion (pissenlit) honey, knowing that it’s pretty hard to come across and was happy to snag a jar. And while I didn’t mind the flavor so much, it did remind me of why the French use the word pis in the title. But the vintage Hermès Birkin bag of honey in my collection, the one that no one is allowed to touch – including me – I got on a trip to Brittany where I picked up this magical jar of honey made by bees which feed on wild savory that grows in the dunes on the rugged, harsh Atlantic coast. Perhaps because the bees live in such a unique place, the exceptionally dark honey has the scent of wild savory with the deep, musky flavor of the bee juices. I got it thinking that I would drizzle it over some Roquefort, but it seems to have fallen into the Too Good to Use category around here. But I’m convinced that I’m going to cycle through it soon, with my jam-making going en grêve (on strike), and it’s on the docket along with all the other honeys. And what am I going to do with all those honey jars, once I’ve scraped them clean? Well, I’m sure I will fill them with jam in the future, to eat while I replenish my French honey larder next year. And the cycle begins, again. L’Épicerie Breizh Café has honey from Brittany, including buckwheat, and La Campanella has honey from Miellerie de la Côte des Légendes, in Brittany, which can also be ordered online. For honey that is cultivated in Paris, there is a UNAF boutique in the Marais (26, rue des Tournelles), the Luxembourg garden honey is available at the Fêtes du Miel during the final part of September, and the honey cultivated on the Paris Garnier Opéra is available occasionally at the boutique in the opera house. There are also a round-ups of Paris beekeepers at The Honey Gatherers (in French), with photos, and Les abeilles parisiennes at Paris.fr. No Man Is As Island. Except Me. 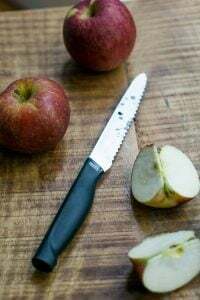 Avoiding the ‘beeswax candle’ thing, and going with a culinary twist, one can make a mixture of melted beeswax and mineral oil to ‘condition’ wooden utensils, or even a cutting board… beeswax can even treat kitchen copper… Is this the right track? I never recall really eating honey until we moved to France. Sometimes I buy it at the grocery store (gasp) but my favorite of all time is the lavender honey I picked up at our local outdoor market here in Antibes. You can actually get good honey in French supermarkets, often from local beekeepers, in addition to the commercial stuff on the same shelf. I adore honey! One of my favourite purchases on holiday (whether at home in the UK or overseas) is a local honey. I’ve got honeys from France, Lebanon and many other places and there’s always that added bonus of happy memories as well as wonderful taste. I do also buy a jar of fairly boring but inexpensive honey for adding to hot drinks when I’m full of cold though, since I can’t taste anything much anyway! At home I try to buy British honey first, and nearby European second. Our bees are in trouble so supporting local bee farmers makes a lot of sense. Yes, it’s good to buy honey from local sources & you can get some very interesting honeys. But like you, I also buy honey when I travel as souveniers of a place. I know in San Francisco, these folks (Marshall’s) have an extraordinary honey from pumpkin blossoms, and here at home, I think it’s interesting to sample the honeys cultivated in Paris. I did ask them about the pollution and the beekeepers told me there is less polution in Paris because there are fewer pesticides in the city than out in the countryside, which I never thought about, but does make sense. Just slather it on some good bread and have some cheese with it. You can get that in France I’m told. The wax is edible but some people chew it until the flavour is gone out of it then spit it out. If you eat it, it may “improve” your bowel movements. We’re lucky in Australia to have distinctive honeys from our varieties of native trees. Glorious! The flavour these trees impart is from the volatile oils that also lead to the bushfires that rip thru in summer (i.e. Right now). Talk about cycle of life! One of my favorites was a lavender honey from Provence. The label says the beekeepers put the beehives in the heart of the lavender fields. It is the creamiest of honeys, not clear like the honey I buy in the US. I bought the 3 or 4 jars they had left knowing I would probably never taste it again — a real treasure… Also want to try using it in lavender ice cream. The honey maker is Lune de Miel. My favourite is the lavender honey I buy when we go to the Vercors (didn’t go last year, and am reduced to the honey from my parents’ bees – well, not theirs, but they get an awful lot of honey for allowing the hives to live in their garden – which is very nice, but too much rapeseed pollen for my taste). 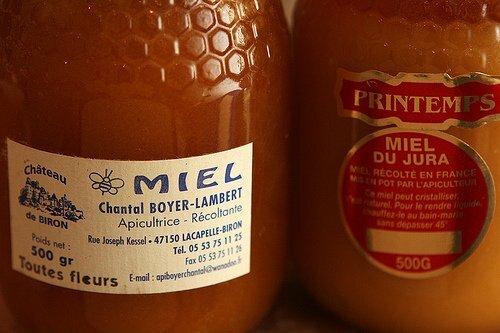 And I once bought some “sapin” honey which was – interesting! I have also bought some honey in the comb from my daughter’s local Turkish supermarket – it’s lovely, you just spread it on your toast and butter like ordinary honey. And if you have a cough, a spoonful of honey is every bit as effective at suppressing it than disgusting cough mixture, and tastes a lot nicer! Oh, and my father has lived on Manuka honey for years; it keeps his helicobacter under control, allegedly – anyway, he likes it! Preheat oven to moderately hot (about 200°C or 400°F) and grease 12-hole muffin pan (or put the cases in). Combine flour, sugar, choc bits and honeycomb in large bowl; stir in combined remaining ingredients. Spoon mixture into prepared pan. Bake for about 20 minutes. I seriously didn’t get the appeal of honey until someone sent me a bottle from her own hives. It tastes like how flowers smell in July! Much of the honey labelled elaboré or transformé will be from China or South America. China went into honey production in a big way about a decade ago. As a result, globally, honey bees are actually increasing in total numbers (but suffering in parts of Europe and North America from a combination of extreme weather, modern insecticides, pests and diseases and modern beekeeping practices). Miel de Bourdaine is from the Alder Buckthorn Frangula alnus plant (not related to Alder). I love honey specially eating it spread on a toasted bread! I adore honeycomb! Even more so than liquid honey. A good quality bread, & cheese…yum! The chocolate honeycomb muffins sound wonderful as well. I’ve never tasted French honey. My favorite one so far is Greek honey, especially the Cretan variety. Thank you David for your post, it makes me miss my time in France. When I was living in Grenoble, I would visit the honey shop on a consistent basis. A french family, that I became very close to (and continue to be), really educated me on all the different types and where to go to get the best – they also educated me on the health benefits too (specifically the bee pollen) – I, like you, just enjoyed all the different flavors, I will add that the women whom ran the shop were so nice and added to the enjoyable experience too. Honey is a delicious passtime! If you can find it, I highly recommend butterbean honey. It tastes creamy, and not overwhelmingly sweet. I have always wanted to make a mead out of it, but can never get it in large enough quantities. I grew up with my grandparents having beehives so I feel very lucky! I keep wanting to add them to my garden but will wait until Raine, my youngest, is not so scared of the flying stingers. :) She is my garden gal and I do need her help. We break off a piece of honeycomb and chew it until all the honey is gone. Then as gross as it sounds I drop it in a huge jar with vanilla beans and lavender. Why you may ask??? Because I make my candles from it. Yes, once my jar is full I melt all together minus the vanilla beans, they have all really done their work. I make small candles that smell soo good! There is an idea for you! I work for a honey company in Georgia and we love pairing honeycomb with fresh fruit, fresh bread and salty cheeses! We set everything out on a beautiful platter in our stores and for parties. Another way we eat honeycomb is in a warm biscuit with a slice of cheese. We love the salty of the cheese with the sweet of the honey. As far as the red color on the edges go, that’s from a product called propolis. It’s one of the five products that humans harvest from bees (honey, wax, pollen, royal jelly and propolis) It’s a resin that the bees collect from budding plants and use to sanitize and seal the hive. It’s very antimicrobial and they coat literally every surface in the hive with it. It tends to be thicker on the edges, however. Great post! Next time I am in a farmers market or in a fancy produce store I am going to look for some honey taste and maybe buy. I love honey too! Just like the reader who commented above, I usually buy local honey as souvenir on my travels. The ones that stayed in my memory for being exceptional were a clear orange blossom honey from southern Tyrol, I think Bolzano, and a slightly thicker/crystallized bronze-coloured one from Malta. Everytime I ate a spoonful I remembered the wonderful journeys! We have some fabulous local honeys here in Wisconsin. I buy mine from B’s Honey at the farmers market in Madison. Fantastic stuff. They have a bass flower honey that has a light lime flavor. Their purple loosestrife is fantastic, and their pumpkin honey is amazing too. :) I’m always amazed at how distinctive the different varieties taste. Dear David, I absolutely LOVE chestnut honey. Do you have a favorite brand, and where do you buy them in France? I will be in Paris sometime this year and I hope to buy some. My first time commenting, been following you for YEARS, you are awesome, thank you for being YOU!!! I once got hot griddle cakes with honeycomb butter from an Australian friend of mine. The recipe was from one of Bill Granger’s cookbooks. She made the butter herself with some honeycomb she got from a speciality store. It was amazing! Good article on an under-appreciated food. I am fortunate enough to have a beekeeper in my area who sells the most amazing honey. I buy it in 2lb jars and go through it like water. No wonder my waistline is non-existent. Anyway, it tastes exactly like flowers. I have a friend who is a chef at Whole Foods, and he even said it’s the best honey he’s ever tasted. Ever. Drizzled over a nice hunk of Bleu d’Auvergne, I’m in heaven. I have a crazy honey collection too as I bring them home from my travels. Rosemary honey from Greece, wild honey from the Himalaya, Poland, Transylvania, Tasmanian Leatherwood, Pitcairn Island, and some lovely stuff from Borough Market with slices of white truffle in it. I fell in love with Bernard Michaud’s lavender and rosemary honeys while in Paris many moons ago. I now carry it in my store and can’t keep either in stock. Tea gets elevated to a whole new level for me and I need a bit of it in every cup. I’d love to be your neighbor to get sample some of your amazing jams. My toast is ready! I must be the only one here who isn’t fond of honey! Having read your passion for it, I think I must be trying the wrong kind and not investing enought time looking for good local product. I know here in Colorado we do have many local honey producers. I will have to try them out. Hope they don’t taste like pis. The propolis question has been answered by Rob H., though in my experience as an apicultrice my bees only put it on the edges of the frames and hive body, or in any holes they want to stop up. You’ll see propolis listed as an ingredient in many toothpastes. It is edible, though not often thought of as a food. Here’s the difference in local vs. travel honey (in my opinion). Travel honey is great because it brings back memories of places you’ve been and also lets you taste honey which may not be harvested in your region. Local honey, beside supporting your neighbors, contains trace bits of pollen from your immediate region. If you have plant and/or tree allergies it can often help to build up your immunity by regularly eating small amounts of locally harvested honey. A bit like allergy shots, but sweeter. I love honey and buy it everytime we go to France, lots to give as gifts and to consume myself! and as Annibel said, lavender honey is the best. I will try the muffin recipe and I am so glad to find out about the honey vendor at St. Lawrence’s Market. I will definitely go the next time I am in Toronto. Still have to find a good honey vendor down here in South Florida. Love this! Going to France this weekend. Any advice for butter? Nice honey collection. I have a friend who is looking for truffled honey. I once saw it at a the Salon Mer & Vigne et Gastronomie. But I think that’s the only place I’ve ever seen it – anyone else? I love your posts and enjoy hearing about all the things you go through to find ingredients that are the equivalent of the ones you simply must have when a craving for U.S. food strikes. For me, it was sweet pickle relish and cheesecake. I now make my own relish and use Mme. Loic and St. Moret for cream cheese, though Philadelphia Brand started to appear in Leclerc last year! 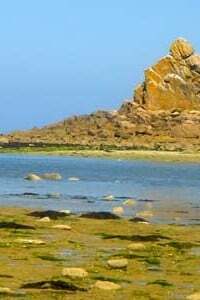 I spend the six months from May through October at our house near Plougastel and am intrigued by the Dune honey you mentioned in todays’ post. Unfortunately, I couldn’t see the brand in the photo. Could you please let me know what it is. My guess is that I could snag some in our area if I only had a tad more info. Thanks,David and look forward to all the wonderful posts in the coming year. Off to watch the Inauguration. Bises from New York(for the moment)! If you’re in NY and have the ability and inclination, there is a fun apiary on the north side of the Union Square green market. They’re there on Wednesdays and Fridays I believe, further west on the north side. They usually have about 6-7 honeys. I like the linden myself. They do tastes and they’re very friendly and affordable. If by chance you end up at the market I urge you to look for the maple syrup people that sell their maple candy by weight in chunks. It’s a far cry from commercially produced or even molded candy by other farmers. Amazing intensity and depth of flavor with a much more dense texture. NY has one of the strictest green market rules so the people working the stands all actually work at the farm and can answer lots of questions. Oh, yes – I’ve bought that maple candy from those people at the Greenmarket and it’s amazing. However it’s very (very) easy to polish off a whole bag. My only regret is that I bought some a while back and didn’t realize that it had a pretty short shelf life, so had to throw some of it away. Lesson learned: eat it all, while you can! Oops! Sorry, I should have looked further down and noticed the link to the Miellerie Cote de Legendes! Now, all I have to do is to find out how far a drive it is from our house! I’ll certainly try to get some of their honey when we get back to Brittany in May. David, you certainly are the bee’s knees!!!! I feel fortunate to have grown up eating honey. An old friend of my father’s had many hives and we would buy cases of it. We often got honey that was predominantly goldenrod. It was delicous! I too pick up honey whenever I travel. Love the millefiori from the Alps. The honey I once picked up on a roadside south of Manila, however, I think was sugar water….disappointing! Cheers to Honey, and the little workers that spend their lives making it! I loved reading this post! My favorites are chestnut and mille fleurs as well. I am fortunate to live near a market that imports them. I like to add the chestnut honey to hojicha tea (green tea that has been roasted) for an amazing flavor. Thanks, David! Did you know that using honey that is local to one’s own area can help with allergies? Do says my SIL who is an MD and beekeeper. If the honeycomb has had enough time to dry and become un-appetising, it makes for a fantastique chewing gum. In the farmers’ markets of NC (specifically Charlotte, where I am at), I see several beekeepers opening booths and selling their honey and they want you to taste it before you buy. I was surprised that he did not stop me after I tasted four different on display and told him I could not decide and I would like to come back with bread and taste them on bread as well (since this is how I eat at breakfast). He was a good sport and I ended up buying three different kinds in big jars. All different colors and I learned a lot that morning about why colors are different, how seasons affect the taste etc. In France, the beekeepers always have samples for you to taste, and encourage it. I think because – unlike cheese or charcuterie – people aren’t going to grab big handfuls are walk away (à la Costco, etc.) Some friends with chocolate shops give samples in Paris, which is rare, but one told me that 8 out of 10 people buy chocolates if they get a taste. I love honey and have always. I’ve over three dozen jars of different varietals and locations (including wildflower honey someone harvested and brought back for me from Kenya). Italy and North Carolina are the other two places aside from France with a wonderful variety of interesting honeys that really express terroir. There are also apiaries run by French beekeepers in the U.S. that I’ve liked. As far as tasting before purchase, in the U.S. it is different from state to state due to regulations. In some states they are not allowed to give samples. Personally I just eat spoonfuls of honey straight from the jar. If you make waffles, whip your own cream and drizzle some honey on top. I also find truffle honey drizzled on olive oil ice cream to be fairly delicious. Bonjour David from sunny San Jose California! I am a new follower of your blog and I am enjoying your posts immensely! I am a commercial/food photographer by trade and an avid cook and gardener. I too love honey! Fortunately, I find numerous varieties of honey locally…especially when I head to Half Moon Bay area for fun and foraging. My favorite honey find these days is blackberry. Hard to find but what a treat! Thank you for your devotion to this blog and sharing your beautiful experiences of a country that I too love! I have a colony of wild honey bees in an old maple tree in my yard. No honey, though, as they are high up. A local beekeeper asked me to call him when they swarm. He said any wild bees still surviving have figured out how to overcome the imported mites and diseases that have decimated the honey bees in America. I buy his honey also. It’s very favorful, but it’s not any one variety, just whatever is blooming in Illinois in the summer. Italian honey is great, too. Spritely. Teresa, I live in san jose CA…where exactly do you find the local honey? I always feel especially decadent eating comb honey, because my bees have taught me just how much work goes into making the comb (which ordinarily gets reused with extracted honey). Spread over warm buttered toast or with paired with a nice creamy bleu cheese are my favorite ways to enjoy it. The Chocolate Honeycomb Muffins are definitely on my list! And, as mentioned, eating the comb adds a myriad of health benefits. As a beekeeper, it is always great fun to try and determine (both by sight and taste) what my girls have been feeding on. I grew up in Central Florida at a time when there were still a lot of small-scale orange groves. 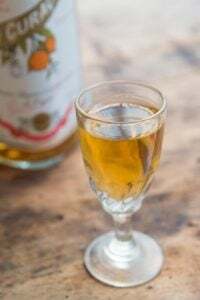 Orange blossom honey was a staple. Now, though, I understand that almost everything outside the giant commercial groves has been cut down to prevent the spread of blight – so sad. Always love your blog so much! And I also love French honey and picked up a chestnut honey at a street market in Martigues this summer and then a Lavender honey in Lyon this fall. They are both lovely, but wish I had bought much more. I am rationing them to last me awhile. I am still kicking myself for not purchasing the honey produced atop the Palais Garnier during my visit in June. It would make me feel so much better if you tell me it is an overpriced gimmick designed to take advantage of awestruck tourists. Had to chuckle given my own “wardrobe” of honey. To date I have Vancouver Urban honey, Manuka honey from Wedderspoon that I’ll be using on the incisions from my currently very broken arm, thyme honey that tastes s bit like sweat, blackberry honey, clover, and a few others. As for the honeycomb, I once met a family whose girls chewed on chunks of comb as a treat and then stuck the wax into an ever growing ball. You could channel your inner “Martha” and save the wax to make a little candle!!!! Wow. Cheers David. Even prior to becoming an apicultrice I have loved the different sources and flavor s of honey, with a standout being a coffee honey from Bali that was fruity and gorgeous. I also share your love of buckwheat honey, but here in the Chicago area I can regularily get it from the source that introduced me to it – “Some Honey.” When I worked at a retailer carrying his honey in the early 90’s the owner Jim Leto gave me a “culled” bottle of it from the shelf that had begun to crystallize, saying it was the first to do so due to its very high mineral content. It always has a bit of nuttiness to it by my taste. Funnily, I was in Jura last time I visited France and picked up two bottles of honey sold on the counter of the small restaurant we lunched in! Oh, and I think the thick honey from your friend is creamed honey – kind of a form of crystalized honey, but similar to ice cream, it is agitated as the crystals form so it thickens into a smooth and creamy form rather than a jagged crystalline one. Like you, I never really appreciated honey until I moved to France, having mostly experienced it out of the little plastic bear up until then . . . Tilluel is one of my favorites, too, but it’s funny to me that you describe it as dark and musky. I think of it as one of the lighter, more delicate varieties. 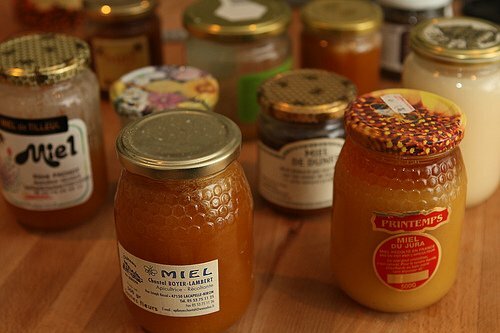 I am still haunted by a “Tilleul argenté” honey that I bought once in a little mountain village in Germany, and that I have never been able to find again. both for david only …. separate note……salmonella [ food poisoning bug] can be orangish/reddish in colour and can come from an outside sourse [ once worked with a french exectitive grande chef. ]…maybe advice should be asked! up in front of the forest, and when I tasted it at dinner I swear it smelled like pine, and so sweet. Vermont got a whiff of the magical forest honey…. French honey is fairly easy to find in NYC. Any of the gourmet type grocery stores carry it. A dean and deluca, gourmet garage, fairway, etc should carry it. DiPaulos also carries a wonderful variety of Italian honey and the best commercially made jam I’ve ever had. 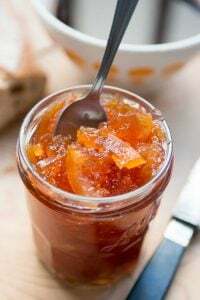 Prunotto (which also does honey) is jam made only with fruit and cane sugar. No pectin or anything else so the flavor is very intense though the thickness naturally varies by fruit type. I have heard that you can fight allergies by eating the honey made locally. OHHHHHHHHHHH honey, NOT you :) When I lived in the Bay Area I could get lots of single Flower honeys that were to die for………….N. Idaho…….not so much. As a backyard beekeeper in Jersey City NJ (! ), and a big fan of your blog and books, it gave me a big smile to see this post about one of my favorite animal products. –Picked up some chestnut honey in Provence last June–amazing, but yes, bitter, an acquired taste. I use it to flavor my afternoon herbal tea; kind of turns it into chestnut tea! –Linden is the first honey of the year here. Usually our first harvest is mostly linden, since in the city, the biggest blooming plants are trees…but your linden honey is dark? Ours is very light, blond, with quite a bright flavor. –I’m keen to try the recipes involving honeycomb. Always looking for something to do besides candles (meh). We started a second hive last spring, a top-bar hive from which the whole comb is harvested, in alternate rows. Lots of comb now! Finally, just a general plug for any would-be beekeepers out there–buy a starter kit and jump right in! Here in the US, in the cities there’s a growing backyard (or rooftop) farm movement; we know of a few beekeepers and backyard poultry farmers right in our area. Due to a spiked interest, there’s a lot of literature available now–terrific books, info on the internet, and local meetup groups. It takes a while to learn the nuances, but it’s been very rewarding. Quick question David-any problems with using your previously used jars and lids for jam-making? My mother-in-law uses all her unique jars for canning with no problems and I have a bunch I’d like to use for jams also. I know some people have “issues” with lids, etc. Any suggestions? Thanks. There is a wonderful honey stall in the open air market in St. Germain de Pres. When I’m there, I always stock up since I am never sure when I will be back in Paris. To Ron, asking about French honey in NYC–Madame Claude Wines in downtown Jersey City has Lavender Honey from Le Manoir des Abielles. They’re just a few blocks from the Holland Tunnel on the Jersey side. Bravo David, un vrai “connoisseur” ! Ce ne sont même pas tous les Français qui connaissent la bourdaine… Et c’est vrai que, à l’instar du vin – mais aussi du fromage !- on goûte le miel sur les marchés. Je vous suggère “le miel des Collines bleues” si vous passez par Sarlat (le stand n’est jamais très loin de la maison de la Boétie), puisque j’ai vu sur la photo de votre blog que vous étiez passé par Lacapelle-Biron – déjà en Lot-et-Garonne, ce qui n’est pas très loin de la Dordogne, quand on regarde cela depuis Paris ! PS : je n’ai aucun intérêt dans cette miellerie, c’est juste que je prends toujours mon miel chez eux quand je “descends” là-bas puis le remonte à Paris… Et j’en offre, car le miel est un cadeau. 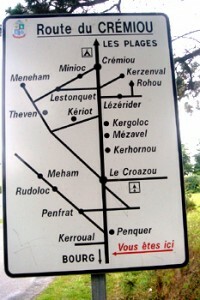 Une Française typique, quoi. 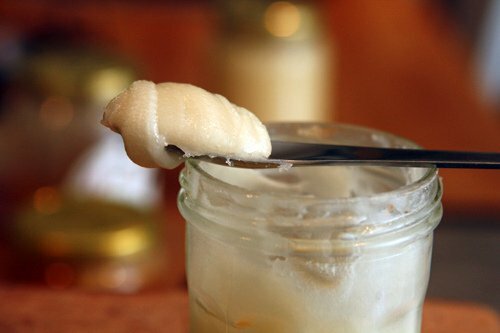 I have no idea what might have been done to the honeycomb between leaving the hive and arriving at my house, but it seems to me that as a kid growing up in an Armenian family, my first experience with “chewing gum” was gnawing on pieces of aspic that were accompanied by a piece of honeycomb to flavor and soften it. There was also always a chunk of beeswax along with any needles and thread to wax the needles when they wouldn’t go through a fabric easily and to wax the thread to make it easier to thread the needle with. I am lucky to live in the Pacific Northwest. There are several locally provided honeys to choose from. I have about 5 jars in my cupboard right now. My two top favorites right now are a creamed lavender honey and a very strong buckwheat honey. I usually mix the buckwheat with a wildflower as it is almost too bitter and tastes like earth. But it is excellent straight up for sore throats and coughs! Here in Chicago I get my honey from Bron’s Bee Company selling out of the Heritage Prairie Farm Market (www.heritageprairiefarm.com). My favorites are Buckwheat Blend and Black Raspberry. If I can’t get to the farm I will buy at their booth at the Green City Market, Lincoln Park.Check out their blog at http://www.heritageprairiefarm.blogspot.com. I also get my cornmeal from them. Just returned from Israel and bought Pure Honey Acacia Flowers and Pure Eucalyptus Flowers Honey that can be found bottled under Desert Magic which has a wonderful line of Israeli products. Didn’t realize other people loved honey so much. My favorite recipe is a wonderful honey cake which I would share upon request. It is dense and moist with honey, whiskey and a cup of espresso! Lovely pictures and as usual you get us so involved through your writing David ! For me, consuming a few spoons of local honey just before and during the allergy seasons works wonders– it’s a kind of pollen inoculation. Pity we haven’t found a similarly easy cure for pet allergies. Marshall’s sells allergy packs harvested from their apiaries around the SF Bay Area for a little more $$ than a month’s supply of ClaritinD. Aside from selling other wonderful stuff, of course– always raw, minimally processed. Good honey can be expensive, but good honey is a labor-intensive (not just for the bees, either) artisan product, and you get what you pay for. One of my favourite foods! Chestnut honey is delicious, as is orange flower honey; you can put good fresh walnuts in a jar, cover them with honey and just eat them like that after a day or so. You might remember that since antiquity honey is used in medicine. The university hospital of Limoges (France) is nowadays since decades using honey with incredible success – thyme honey of very clean tested origin – healing wounds of all sorts, huge operations, cancer wounds bed sores bad frost bites etc and doing it in no time.Painless for the patient. Honey has to be thoroughly tested and when approved an antibacterial marvel a true rival of penicilllin.. I have seen the method demonstrated at the Limoges university hospital. It is as simple as it is inexpensive which of course is the reason that the all too powerrul medical industry wishes to ignore it. Local honey is great for allergy suffers. It works for me. I add honey to my greek yogurt, toast with avacado, rice cakes with peanut butter, cheese. I love chestnut honey too. Some of the best honey I’ve ever tasted is from Sicily. I can just taste these! I’m an urban beekeeper here in Portland, OR, and love to explore the local beekeeping scene when I travel. One day my mini-adventure was to find Les Abielles, which turned out to be a charming out of the way emporium, where you can find honey, nougat, pollen, etc., as well as beekeeping equipment and supplies. I’d read about it in a Paris shopping guide I’d found at Barnes & Noble. The shopkeeper was pleased & surprised to hear that his shop was in a travel guide! We talked a bit about city beekeeping, even though my French is non-existent, having a common interest always smooths communication. 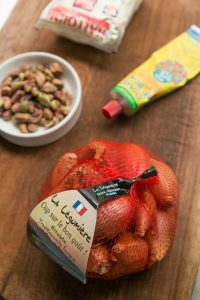 My favorite French souvenir is the apron I bought from there–the lavender and the chestnut honey are long gone. French honey is the #1 thing I discovered while studying abroad. Miel cremeux….I still dream of it. I would buy it in vats and slather it on buttery toasted baguette for breakfast. I absolutely adore honey! last year at salon d’agriculture I bought the most amazing chestnut-honey – definitely in the “Too Good to Use”-category, but somehow it disappeared anyway! Since I don’t enjoy wine, I love the fact, that I can get the terroir-feeling through other things, and honey is one thing I always bring home as a souvenir from around the world – one of my favorites, I bought at a Greek monastary – summer in a jar! I love honey. But it’s a recent addiction; growing up I only ever had the dreadful “honeybear” honey from a supermarket, blended to be tasteless and pasturized to death. I live in New England–Rhode Island, to be more precise, and we have some good honey here. I often find it not only at farmer’s markets, but also at fiber festivals (I’m a knitter). Whipped honey is a favorite, especially on buttered biscuits. I love honeycomb, too. Lavender honey…oh, it’s the best (I use it to make lavender cream cheese frosting). There are two honey cookbooks put out in the 1940s that have some wonderful recipes. My favorite is for a chocolate frosting (called French Honey Chocolate Frosting). We have some wonderful honeys from native plants in NZ, which is just as well as we’re not allowed to bring home honey as a souvenir. Not very practical in the middle of Paris, but having a rented hive in your garden is all the rage here – helps the bees and you get two to three kilos of honey in a year. Which makes you popular with your friends. Mmmmmm…salivating as I read this post. Imagined the smells and taste of each. My husband and I have visited the maison du miel twice, and bought delicious honey there, pariculalry tilleul and leatherwood from tanzania. We also discovered some amazing honey in a small town in Northern Alberta called Fahler. You never know where you might come across it! I have one of those jam-loving Frenchmen! He slathers it on the buttered baguette that gets dunked in the morning bowl of hot chocolate, and the croissant (with guests staying) that also gets dunked in the hot choc, or cereal which doesn’t get dunked but drowned in jam at breakfast or for his gouter (and he’s about your age David). As it happens he did an art installation at a small expo at the Sorbonne on the (abstract) theme of honey a couple of months back. His was the least abstract and at least featured real honey. A friend did a close-up photo of honey which was incredible. I’ve now switched to acacia honey in milk tea. And in making a honey and walnut cake recently I realized that it’s honey that must give gingerbread its density, because it was similar to gingerbread in taste too, with no ginger. There’s something intensely fascinating about honeycomb and how the bees work and the honey is extracted. If we were to lose the bees though it would be an ecological disaster. I’ve had to check the cupboard for the honeys I have: Thyme or rosemary are among them, framboisier, and the most unusual perhaps being oak or cedar honey from a trip to the Lebanon. Swap some for some sarrasin? Thanks for the great bed-time read in any case. Well David, if ever you are in Australia, you may want to consider visiting ‘SuperBee’ on the Gold Coast in Queensland. They have nine different flavours (these are determined by the flower/plant that the bees collect pollen from) and you can taste all of them before you buy! A very delicious day out. They have a website, and online shopping – http://www.superbee.com.au. Enjoy! Here in Oakland, we are so lucky to have a Bee Healthy Honey Shop, owned and operated by a fourth-generation beekeeper. He collects and sells honey from hives he keeps all over the Bay Area, so you can get some from your neighborhood, or take free bee-keeping classes, or, if you have a hive or bees, he will come and safely take it away for you. You should call first because he spends time out in the field. He’s on Telegraph between 29th & 30th. You can taste the honey in advance of purchasing. He is also the winner of the Oakland Award Program and deserves our support. P.S. They also sell all kinds of bee related products, pollen, creams, honeys from other parts of the world, beekeeper’s uniforms, and are 100% five stars on yelp (if you care). Honey is good on or in everything! Fresh local is best! Try La Fromagerie – they source wonderful products. Oh how delicous! Next time you head down to see Kate, be sure to visit her friend Narcisse at the Brax market. His bramble honey is amazing! In fact, he has a hive next to her little summer house. Wonder if that has produced anything yet …? Ok I’m going to stop buying soap from the honey person in my marche and try the honey! Must be brave. 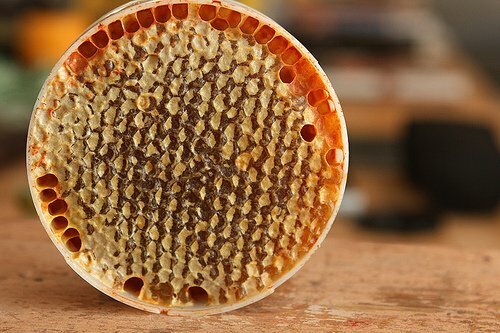 How about setting the honeycomb in a disc of clear resin so that it is forever in its current form – a unique objet d’art for your coffee table, and an excellent way too bring up the subject of honey. I don’t suppose that you got some inadvertent M&M honey, with the red rim? I’ve heard about the problems with that in France. Next time you’re on the Butte au Cailles, stop in at L’OisiveThé. My (American) friend Aimee owns it, and it’s delightful. I think you’ll be pleased. gorgeous honey tour! i, an american, had no understanding of honey until i finally got some from an actual apiculture at the local farmer’s market. one spoonful tasted like a thousand flowers and blew my mind. now i hoard it in my cupboard. i read somewhere that american honey is often watered down, and they aren’t required to label it when it is? that may be part of the problem. anyway. lovely. As backyard bee keepers we were very interested to taste some of the French honeys when we visited a few months ago. Lavender honey from Provence, and a few others. They were lovely but we were loyally biased towards our bees and decided that each one was ‘good but not as good as our honey’! I think the reddish stuff around the edges of your honeycomb is pollen. It looks like the comb was built by the bees in the container itself and some pollen stains have remained. Behind that white-ish wax capping is comb that is filled with honey. Normally that thin layer of wax is sliced off and the honey extracted. In this case you can just dip in with your knife or spoon and scoop some out. I would be very, very surprised if it is salmonella or any other nasty as has been suggested in an earlier comment. Honey is pretty antibacterial naturally, it never goes mouldy or spoils. Didn’t they find some in ancient tombs and pyramids that was still safe to eat? Thanks for the tip on the honeycomb! When I was growing up we used to eat the honey comb which was an absolute treat. Now we know why we have such bad teeth. I love honey. I am fascinated by the honey making process and the effect of a region on the flavor of honey. I wish I lived in a building that let me keep beehives on the roof. And honey makes me terribly, terribly sick, so all of the previous statements don’t matter since I can’t eat honey, can’t compare different varieties, and probably never will, or should, keep hives. Sigh. I just adore honey & off course your blog. I try and eat raw honey (no extreme heat used in removing it from the comb). I’ve just done Jason Vale’s 7lb in 7 days juicing and one of the first things I ate was honey and banana on toast yummmmm. Do you have any favorite recipes using honey? Try using it instead of sugar the next time you make flan. The flavor is amazing. I read this post before going to bed and when I woke up this morning the first thing I did was slather honey on toasted baguette. Thank you for the inspiration! I was once told only to use wooden spoons for honey not to spoil the taste. honeycomb is inextricably bound with my childhood. my father would bring jars of it back from his trips to swat in northern pakistan. i used to love eating little cubes of it. it is equally good whipped into a honeycomb butter or thick cream. that on a slice of toast is perfection. you could use on pancakes too. The third photo reminds me of the honey I grew up eating. We liked it best smeared on toast with a bit of clotted cream. You’ve reminded me of how very long it has been since I ate it that way. As you like flavorful honeys, have you tried “maquis d’automne” honey from Corsica ? It is nearly bitter and with an absolutely unique flavor, very strong, anf far different fom the spring harvest, sweeter but still very flavoful. You can find it corsican shops such as U Spuntinu rue des Mathurins. And like you, I really love chestnut honey. I haven’t tried the honey, but I love that shop! David, the red on the outside looks like pollen, the bees collect that to and put it in some cells. It can have every colour that a flower has. This year we had a lot of blue pollen from lavender. you can just take whole bits of honeycomb and chew them like a natural chewing gum. it will not stick to your teeth and the honey will slowly get out and you are left with a little piece of wax. I love orange blossom honey in my tea. Honey is so delicious on warm biscuits,too. I always look for it in markets when we visit France. My husband thinks I stockpile it. As a fellow lover of good honey, may I suggest if you are ever in Arizona, you owe it to yourself to go to a farmers’ market and purchase some raw mesquite honey. The flavor is wonderful! They will always allow you to taste all the other varieties they have for sale, but mesquite honey is the best and is almost as divine as mesquite flour. Mesquite honey is incredible, as is the flour – for making chocolate chip cookies! I often bring some back when I go to Texas. My sister, Anne, and her husband, Mark, have their own hives and harvest honey in LA – Lower Alabama! Every year they send some as a gift for the holidays, and I always beg them for more during the year. I drink it every day in my green tea with lemon, and it’s all the more special since it comes from my family. The local honey here from Arizona is also good, as is the locally made agave syrup. My other favorite honey comes from New Zealand, manuka honey, where the bees are said to feed on tee tree plants. It has a strong, distinctive taste. I’m convinced any and all honey is good for you, so I never hesitate to eat it. It’s especially good, as Kate said, on buttermilk biscuits with butter. I’m surprised you didn’t mention tournesol honey, which is my favorite here in France. 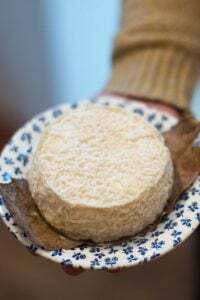 It has a lovely chalky, polleny texture yet is in the middle range of flavor, i.e. not too strong. Look for it the next time you are buying honey at the market and give it a try. There are a lot of great and diverse honeys in France (and elsewhere) – I like sunflower, too, but it’s good for folks to go to a place where they offer tastes so they can find their favorite. Some people wrinkle their faces up at chestnut honey, but I can’t get enough fo it. And that dandelion honey I tried is definitely an “acquired” taste! When my husband Joe was a boy he helped his grandfather with grandpa’s beekeeping business in the tiny town of Romona, in the arid countryside just east of San Diego,California. Joe kept a hive of his own bees too, on the roof of the family’s house. Unfortunately, every time someone on the block got stung by a bee Joe always got blamed! While we were living in San Diego we were able to buy the best honey from Mr. Green who used to be Grandpa’s partner. We had two favorites. One was the darkest, avacado honeywhich is just like blackstrap molasses- great for cooking with. The other was the lightest, most delicate tasting honey I’ve ever had . It comes from the pollen of the Black Button Sage which, unfortunately only blooms when there is an unusually wet winter. When it was available we got it in 10 gallon cans from Mr. Green.. Your post reminded me of those wonderful honeys. I still collect honey where ever I travel. There are so many good ones to discover. I often have honey with tea and leave out the tea so I have the full aroma and taste of the lovely,as my husband calls it, Bee Spit! – In France when you have less than 10 hives you don’t pay taxes considering it’s for your own use. -there are 2 AOC (Corse and Miel de sapin des Vosges) and 2 IGP (Provences and Alsace) in France. These honeys are strictly controlled to keep these labels which certified their origin and their quality. -bitter honey is from the strawberry tree. You find it in Corsica, Italy…. -the red color around the honey comb is propolis, an amazing product from the bees which helps to keep the hive healthy as it is anti-bacterial, anti-fungal. Great for us human as well to fight colds and much more. – bees make honey from nectar they collect on the flowers or from honeydew they collect after some insects (eg aphid on fir trees in Miel des Vosges); pollen is used to feed larvaes and bees; pollen is their source of proteins. -honey is extracted with a centrifuge and should never be warmed up or will use its quality. -to find more about regulation, check the codex alimentarius about honey . In my family we bring honey as souvenir when we travel, and you’ll find good quality honey throughout the world, as long as you buy it from a reputable beekeeper. I’ve got a jar of Miel de Camont with your name on it. Smack in the midst of orchards and fields, it is a delicious blend of all things Gascon. The first harvest of 6.5 liters was an eye opener of just how easy it is to keep one hive. So while serious beekeeping is a lot of careful work, bees are pretty forgiving to us amateurs. Thanks for all the recipe inspiration- pain d’epice rules! And I thought it was just MY French guy who went through the confiture like there is no tomorrow! He and his 3 kids have the same family sweet-tooth, so I was chalking the excessive jam usage to that. Now I realize it’s probably just a French thing. But then again, jam IS pretty marvelous. As are the many types of honey you can find here. The French really know how to eat. Organic Honey has been on my mind lately, especially after my recent visit to wayanad in Kerala, India where it was being sold in litre bottles. 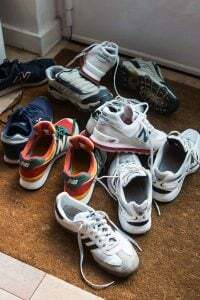 Was thinking of how it is the base for most home remedies, how a tsp in the morning mixed with warm water and lemon juice can cleanse the most stubborn of systems of their toxins etc. And then I saw this, you just made me love it more. Just makes me more determined to keep a litre of this stuff around at all times. Jacques Chirac spent an enthusiastic year in his late teens travelling in the US. For a while he worked as dishwasher at a Howard Johnson´s where he greatly admired its pretty waitresses, heavenly creatures who called the young Frenchman “honeychild”. When telling this – as a former French president interviewed on French television -, it was obvious he had never gotten over the bliss of it all. – Do you know what “honeychild” means, he exclaimed. It means “enfant de miel” ! In French the expression “enfant de miel” is an unknown marvel. really does work wonders at all hours. I tasted and brought back home two jars of a deliciously dark, thin, almost-syruplike, caramelly, saltly honey on the island of Rangiroa in French Polynesia a few years ago. It’s my favourite honey in the world – called “Meri Tuam’s – le miel de Rangiroa”. Sadly there doesn’t seem to be anywhere to buy it here in Paris. Now I only have a tiny scraping left at the bottom of the last jar, it goes in the “too good to use” category for sure. Every time I see a really dark coloured honey at a market I buy some in the hope that it will have some of the exotic depth of flavour that the miel de Rangi has – disappointed so far, although a jar of buckwheat honey I picked up at a farmers’ market in Queens was pretty good too. 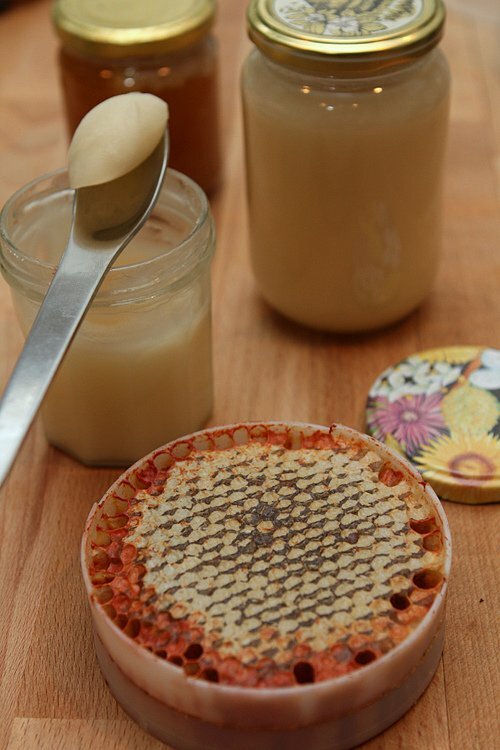 Thanks for the post David – some useful tips on where to buy unusual tasting honey in France. 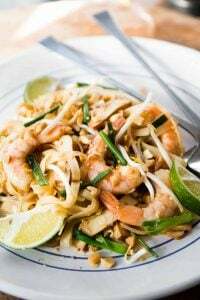 This is my first comment although I have been reading and cooking your recipes from the blog for some months now – a really useful blog as I am an Anglo living in Paris. Just off to have some of the celeriac soup now. Thank you again! When I have red in my hives, it’s from sumac pollen. Sumac honey is wonderful! David, I really loved this post and now I have a honey shopping list for the next time that I am in Paris. The variety and attention to detail is just breathtaking. Thank you for all the tips! About a year ago I decided that honey was going to be my go to souvenir. I envisioned filling a cupboard in my pantry with honey from across the globe. It really seems like the ideal souvenir as honey is so specific to geography. French honey is nothing like Canadian honey which is nothing like honey from South India which is nothing like the honey from the Himalayas. However, I go through honey too quickly I guess to have a nice variety on hand all at once. Nonetheless, I still believe that honey is the ultimate souvenir as few other things tell the story of a place quite like it. One of my favourite chocolates from a local shop is the milk chocolate and honey. It gives away just a bit in the middle with a nice thin layer of the golden gooey treat. Speaking of adulterated products, 60 Minutes has a report about some purveyors making tins of Chinese truffles look like French ones called The Trouble With Truffles. More reasons to go back to Paris! I was lucky enough to help spin honey a few times with a salty retired professor on her small farm outside Ithaca. She would give us some to take home, and offered it at a low price any other time, which is how I acquired the habit of dumping obscene amounts into my morning latte. Not very French but Mercy! is it delicious. I have a tiny jar of basswood honey I have been saving for goodness knows what. I think tomorrow we will have it on some blue d’Auvergne! Thanks for all this great info! David – since you love chestnut and sarrasin honey, like I do, I’m guessing that you’d love miel d’argousier too. It’s that secret, bitter tinge that makes it so thrilling. If you don’t already know it, be sure to try some. Have you tried the Taiwanese honey cake which is basically a version of castella? It does require SP cake emulsifier, but has some of the softest and spongiest cake texture around. Nothing stands in the way of the honey too! Great blog and write up on honey. I am a honey lover and enjoy the different varieties we have in Australia. Lovely to find you. A local producer from whom I buy honey here in San Francisco sells a honey they call “Cappings” which might be similar to the “thick, unfilitered and slightly waxey” honey you mentioned. Though Cappings can have hunks of comb in it as well. What I have presently is a wonderful, dark stuff made from the Sage flower. My small 2 person household eats so much honey we buy it in 5 gallon buckets from our local bee supply store (raw, local and tasted first for flavor). Soon we hope to harvest from our hive in our backyard but they need to get strong first. My favorite honey for flavor is Meadow foam in Oregon. I haven’t tried it yet but there is a poison oak honey I’ve seen that intrigues. For honey comb, I love it best slathered on good French bread with butter. The chewy texture of the bread with the chewy comb and melty butter dripping with honey is wonderful. First, a recommendation for the honeycomb: a colleague of mine was once traveling through the countryside in Louisiana when she encountered an old man with a table by the side of the road, who was selling big jars with pieces of honeycomb in the bottom. The jars were labeled BYOB: Bring Your Own Bourbon. If you let the comb steep in the bourbon for a few days, all the honey will come out of the comb and lightly flavor the bourbon in a really lovely way. Secondly, I once had honey from a beekeeper who lived near some vineyards somewhere in Italy. The honey absolutely exploded with grape flavor and was really amazing with cheese. I’ve searched high and low and have never found it sold anywhere – maybe this type of honey is typically kept for home consumption or only available at farmers markets in the area. Oh man,w as it amazing. A friend who grew up in South Africa, and whose farmer grandfather kept bees, told me they ate the honey from the hive, comb and all. Is that still OK to do? I wonder, now that I’ve seen the extraordinary documentary about bees, Queen of the Sun, whether there might be a lot of toxins in the wax. Apparently the bees filter out toxins in the pollen, but where do they it go? I love so much honey and I even put in my tea. I hope it is not a sacrilege to our british friend. The French use of the word pis in the title have nothing to do with the word pissenlit. I have a recipe for Honey Cake you might enjoy. Is it okay to just type it in the ‘comment’ area? judy: You are certainly welcome to share recipes in the comments area here. Thanks! Cathy: The word pissenlit is said to be derived from the belief that dandelions (les pissenlits) have a diuretic quality, which made people ‘wet the bed’ (lit). Have not heard other explanations but would be interested in hearing any other ones. Cream oil and sugar. Beat in the eggs, one at a time. Add honey gradually. Sift flour and dry ingredients reserving one cup. Add flour mixture alternately with orange juice. Toss rind, nuts and raisins in reserved flour. Add to batter. Bake in a greased 9 x 5 x 3″ loaf pan for 1 hour at 350 degrees. No, I saw “pis” and not “pisse” in your text. But you’re right, this plant has several names, the most common is pissenlit “pisse en lit ” and it’s not an belief. it’s certainly has a diuretic virtues. Lest anyone feel left out, thinking all the good stuff is overseas, I’d like to mention some of the great honeys here in the states. Naturally, any farmer’s market is going to have good local honeys, so when you are in a place like FL, CA, AR, etc..try the local flavors. But large cities also have a treasure trove of honeys in the ethnic stores. Any store that caters to Eastern Europeans will have Acacia, Linden, Deep Forest and buckwheat honey. Greek stores have creamed honey, and Asian stores have my all time favorite fruity honey….Loquat. When in south FL, go out along Krome RD in Homestead and visit the tiny mom and pop produce stands for Tupelo honey, tropical honey and special Redlands honey. I LOVE Tupelo honey. I thought it was just a Van Morrison song until I worked with a woman who had worked for Savannah Bee Company. savannahbee.com Check out the bee dance. Tupelo Honey is buttery and doesn’t crystallize. Here in La Réunion we have lychee honey – it is out of this world delicious, especially with a perfectly cooked magret de canard. Miel de baie roses is also really popular. I love french honeys, and never waste them in a recipe. They’re best straight off the spoon, or with buttered bread. I am a bit of a hoarder I have to admit and currently have 8 different varieties of honey at home… Rosemary, thyme, lavender, acacia, heather, clover, wildflower and Greek honey. Yum! For a life changing experience, be present when a beekeeper is extracting honey from the combs. (I believe it involves some king of centrifuge.) I’ll never forget the aromas released- it was like an instant replay of all the flowers the bees had visited that season. All those scents didn’t seem to make it into the honey itself, although someone with a more sensitive sense of smell might disagree. But now when I eat honey I remember those elusive scents and it’s like eating the memory. Hi David: Always enjoy reading your blog and wishing I could be eating and tasting by your side. Your honey post was luscious for me to read as I’ve just finished writing a book called Taste of Honey. I tasted many (maybe a hundred) different honeys (many French, but stop the presses! 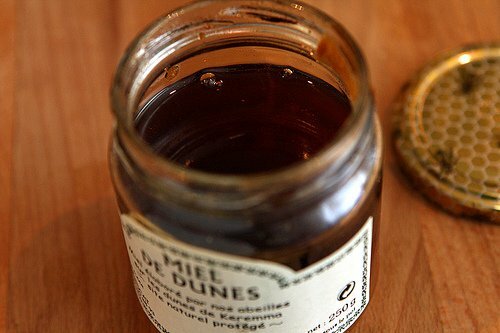 Dune Honey?). Fascinating subject. The book’s focus is cooking with different varietal honey and which honeys (according to my taste, at least) go best with which flavors. All subjective, but great fun to think and taste. Book comes out in June 2013 (Andrews McMeel Publishing). I’d be happy to send you a copy. Please forward your address at your convenience. Absolutely the most delicious honey of my life was lotus blossom from Dal Lake in Srinigar. The last jar we had was from a shop in Delhi in the 90’s. It completely changed the concept of that food. If you ever find a source, would you let us know?